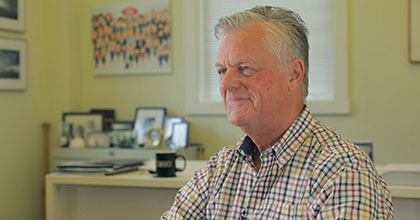 After 42 years in business, Peter Jenkins, CEO of Boston Warehouse, faced a turning point: an acquisition opportunity that would double the size of his business overnight. It would also give Peter access to the distribution power of QVC, the largest customer of the company he was hoping to acquire. But an acquisition of this size would require major funding—especially working capital to keep operations of both entities moving smoothly. Peter Jenkins needed a broad range of financial tools and a deep level of banking expertise. With Webster’s help, his growth plans are exceeding projections.